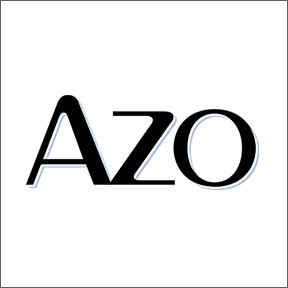 Professional Supplement Center now carries AZO, a line of products from i-Health, Inc. that provide trusted solutions for vaginal and urinary tract health. i-Health is committed to improving the lives of consumers through innovative, safe and effective over the counter products that address microbiome health, women’s health and healthy aging. i-Health was founded in 2011 as a division of Royal DSM, a global science-based company active in health, nutrition and materials, headquartered in the Netherlands. DSM is committed to finding new and innovative solutions for their valued customers, suppliers and their community. Along with a strong sense of responsibility for sustainability, DSM is dedicated to meeting today’s needs without compromising the planet and the needs of future generations. Along with DSM’s Quality for Life™ seal of excellence, DSM assures that highly trained professionals manufacture their brands in a safe and sustainable way, and guarantee their highly rated products are safe in terms of quality, reliability and traceability. AZO Bladder Control® with Go-Less®: This naturally sourced proprietary blend of pumpkin seed and soy germ extracts provides a safe and drug-free way to quiet overactive bladder, reducing the urge to urinate and supporting healthy round-the-clock bladder function. AZO Urinary Pain Relief Maximum Strength: This product provides the number one active ingredient recommended by doctors and pharmacists specifically to address and relieve symptoms of urinary tract pain, burning, and urgency. This fast acting product directly targets the source of discomfort, providing relief in as little as 20 minutes. Standard strength formulation also available. AZO Cranberry Gummies: Made with clinically proven Pacran®, a super-concentrated whole fruit cranberry powder, these mixed berry flavored gummies help to flush, cleanse and maintain a healthy urinary tract. One serving provides the equivalent of one glass of cranberry juice with only 2 grams of sugar. Gluten, lactose and caffeine free formulation. AZO Yeast Plus: This multi-benefit homeopathic medicine specifically addresses symptoms of yeast and vaginal infections in one convenient pill. Yeast Plus relieves uncomfortable symptoms of burning, itching, occasional discharge and odor. Use according to package directions and if symptoms do not improve within 3 days or persist beyond 7 days, please contact your healthcare provider. This entry was posted in Home and tagged AZO Bladder Control® with Go-Less, AZO Cranberry Gummies, AZO Urinary Pain Relief Maximum Strength, AZO Yeast Plus, AZO – Featured Brand. Bookmark the permalink.